SDM 2015 selected projects The SDM announced the call for proposals for the SDM 2015 in July 2015. By the deadline for applications (September), the SDM Secretariat had received a total of 23 applications, of which 10 were confirmed eligible to SDM. A board meeting was convened in October 2015, where the Executive Board carefully considered the eligible proposals in line with the project selection criteria and prioritisation criteria. Within a set of competent proposals, the following six were selected, which were deemed the most promising for the implementation and promotion of the concept of the Satoyama Initiative. 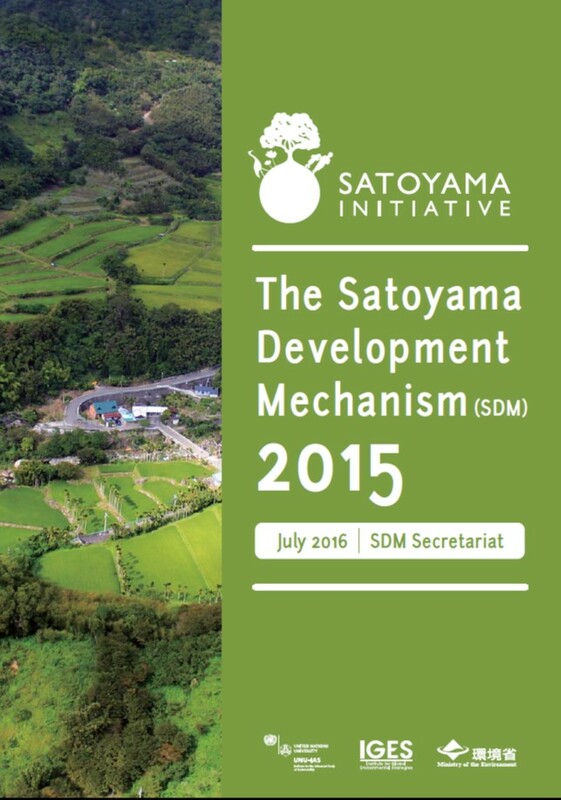 More details on the selected projects can be found in the SDM 2015 Booklet. 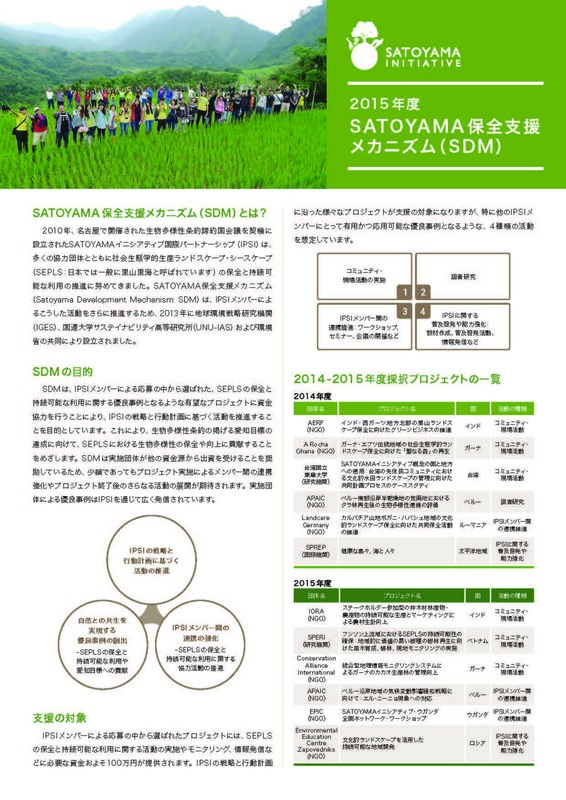 Overview of the projects selected in 2014 and 2015 can be found in the SDM 2015 leaflet in Japanese language.